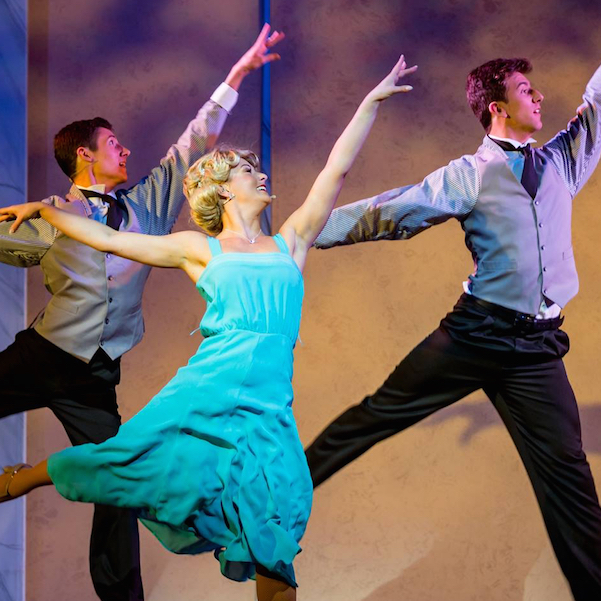 Described as one of the best dance musicals of all time, Top Hat is touted as Fred Astaire and Ginger Rogers’ finest collaboration together, thanks to those mesmerising duets, choreographed to perfection. Believe it or not, the film was made in 1935 and it would take another 70+ years before the magic from the big screen would make the leap on to the stage. 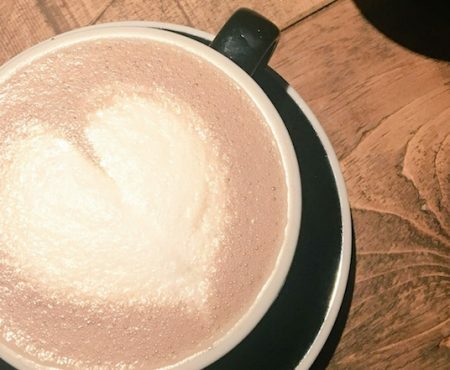 It’s your typical feel-good romance with frenzied twists, turns – and face slapping – which all threaten to throw the couple’s happily ever after off track. 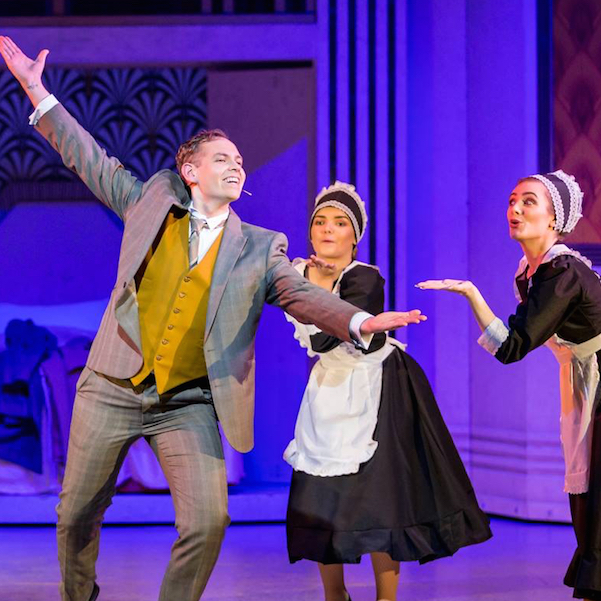 Some real laugh-out-loud comedic moments make the show all the more endearing as the whimsical plot gradually unravels amidst a fizzy froth of big musical numbers. The West End Operatic Society is a local am dram company in Newcastle, currently celebrating its 70th anniversary. 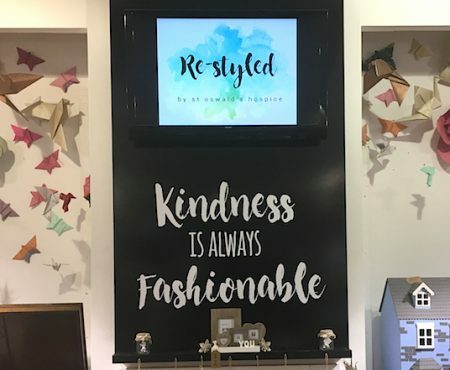 In recent years, the Society has presented productions like Calamity Jane, Hello Dolly and Hairspray, and this month, they’re adding Top Hat to that repertoire. Meanwhile, Andrew Fearon takes on the role of neurotic Horace Hardwick, with Helen Cash playing his wife Madge. 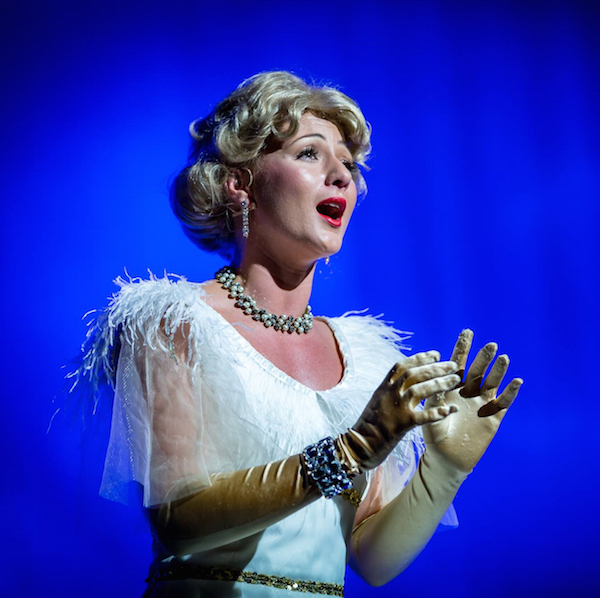 Despite only appearing in act two of the show, Cash makes a big impression from the off, and really holds her own in some of this act’s key scenes. Jonathan Cash and Charles Doherty play Hardwick’s meddling valet, Bates, and fashion designer Alberto Beddini, respectively, and both actors execute the show’s more outlandish screwball moments to timely perfection. 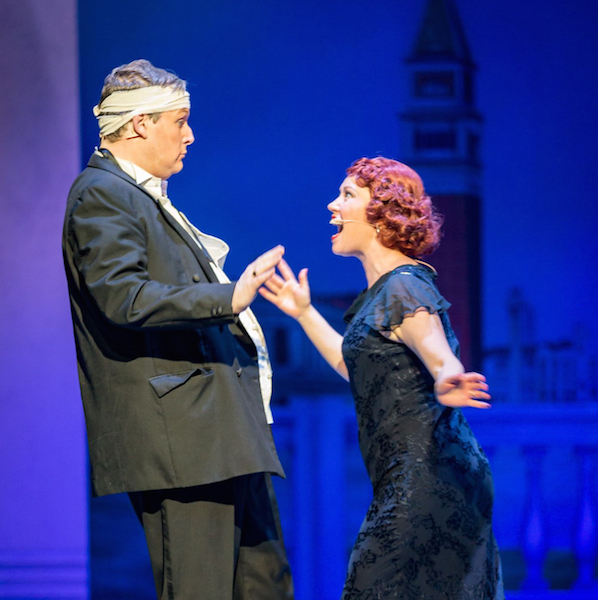 The staging at the Tyne Theatre & Opera House cleverly transitions between different locations in New York, London and Venice, with decadent art deco motifs, scenic backdrops and plenty of golden sparkle! There were a few teething issues on the night when moving props around, but nothing that can’t be remedied post-opening night. As for the outfits, these are everything you could hope for from a story set in the 1930s; think vintage glamour by the bucket-load. A nod to the original film – Tremont’s elegant white gown, embellished with exquisite feathers, is a real showstopper. This glamorous dress really looks the part, especially when she glides and twirls across the stage in the arms of her beau, Travers, and finishes Cheek to Cheek on that dramatic backbend. 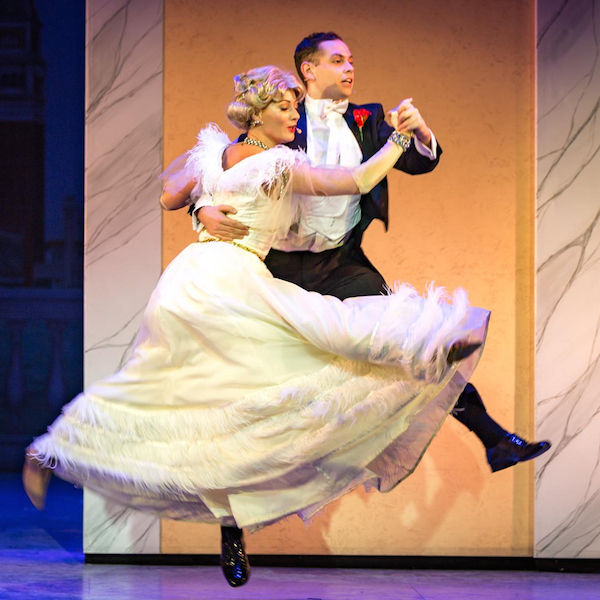 Of course, top hats and tails are a given, plying the production with a dose of nostalgic Hollywood pizazz. 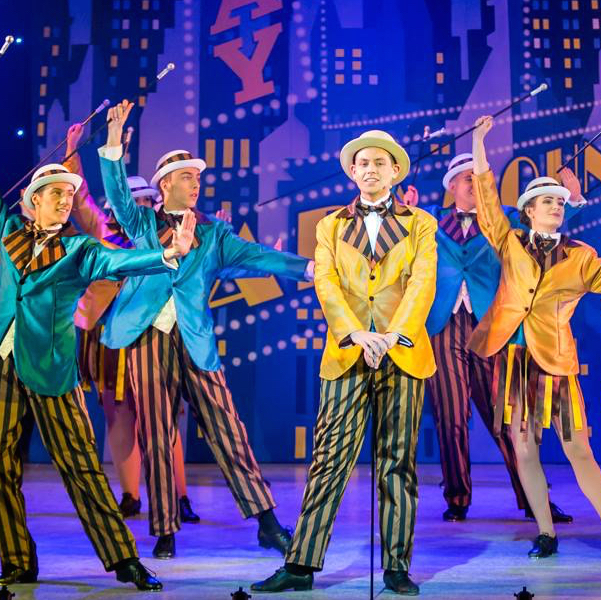 Top Hat crams in lots of musical gems by Irving Berlin, which have made their way from film to stage to popular culture. 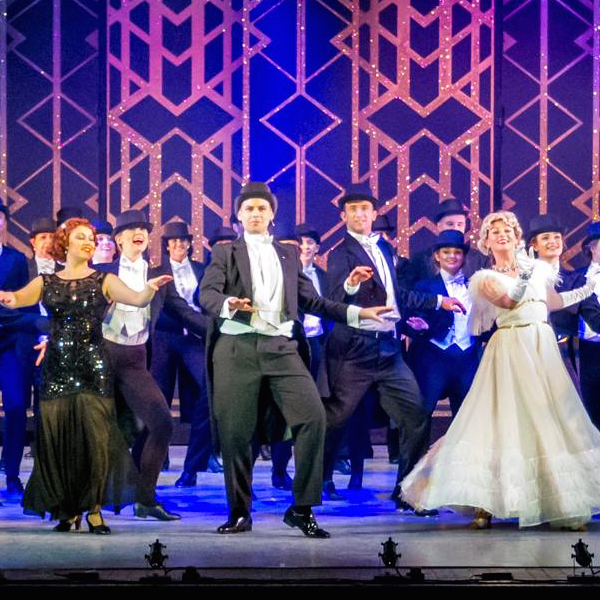 Puttin’ On The Ritz opens the production in a blaze of colour and tap dancing frenzy, with the exuberant Top Hat, White Tie and Tails finishing act one on a glitzy high, before its reprise in the spectacular show finale. All definite crowd pleasers. And you can’t help but be enthralled by the cast’s renditions of classics Cheek to Cheek and Let’s Face the Music and Dance. The choreography is slick, with the cast light on their feet as they breeze across the stage. At times, it’s easy to forget that this is an amateur production and not their full-time jobs! 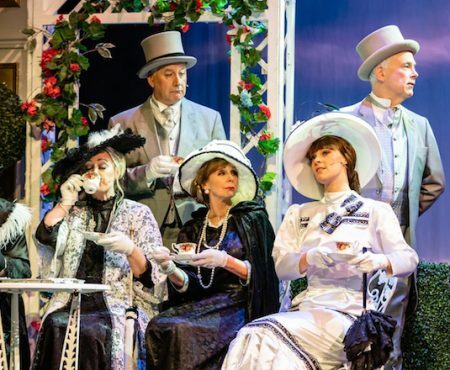 The West End Operatic Society’s production of Top Hat was thoroughly enjoyable; bursting with cheery lighthearted vibes, impressive dance ensembles and a captivating musical score to match. The cast can tip their hats to a job well done! 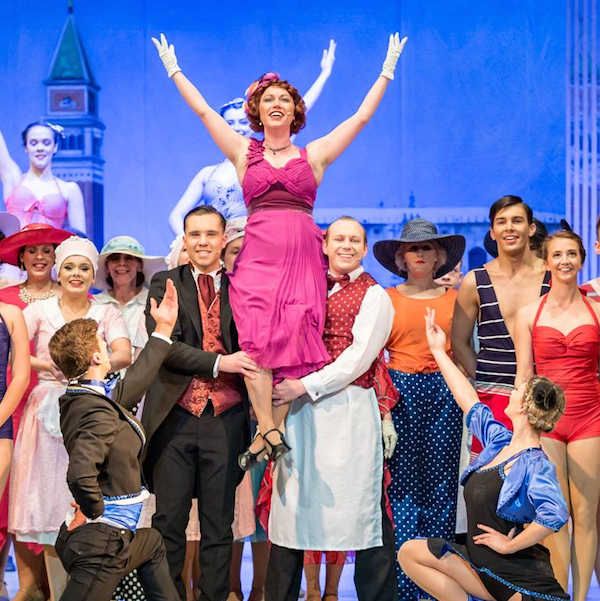 Top Hat runs until Saturday 17 February at the Tyne Theatre & Opera House. For tickets, starting from £8, visit tynetheatreandoperahouse.uk. 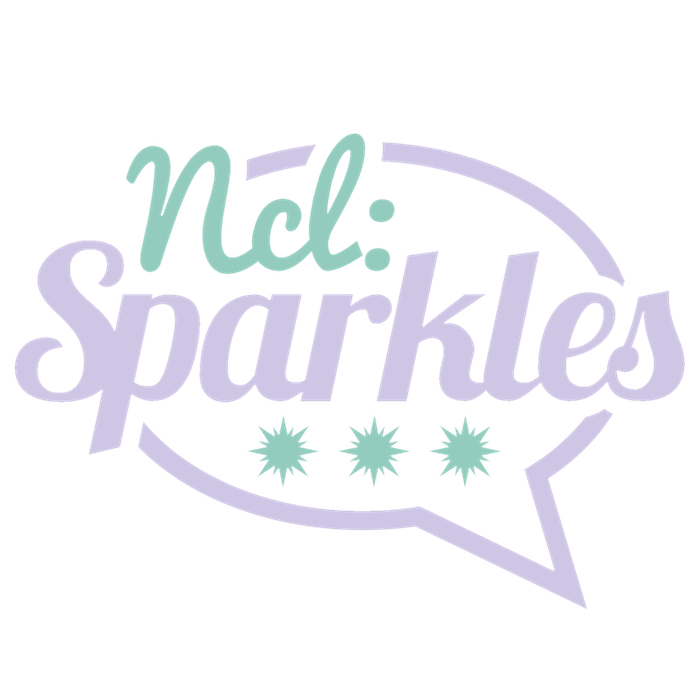 *Newcastle Sparkles attended the performance on a complimentary basis.